You are here: Home / All posts / The Times They Are A Changin’ – but will we see the difference? The Devolution of health and social care to Greater Manchester this Friday (1 April) is being heralded as the dawn of a new era – one that can deliver the fastest and greatest improvement to the health and wellbeing of 2.8 million people. But, asks Ruth Boaden, will any real change be seen? This time last year I was being repeatedly asked “what does it mean?” at a national workshop of NHS research leaders. It referred to the devolution of health and social care funding to Greater Manchester (and I was from Manchester), but at that time neither I, not anyone else, really knew what it meant, or what the implications were. One year on, however, I’ve been reflecting on what might (or might not) be different after 1 April, for the average citizen in Greater Manchester (GM), those working within health and social care, the leaders of the system and those who research these issues. And I’m not sure that most people will notice anything – perhaps apart from the developing promotional campaign: “Taking charge of our Health and Social care”. The same hospitals, doctors, social services and local authorities will continue for now with the same funding challenges (not unique to GM). Will the formal powers given to the Greater Manchester Joint Commissioning Board, which sits under the Greater Manchester Strategic Health and Social Care Partnership Board, for commissioning of over £800m of activity, including cardiac surgery, specialised cancer services, etc …, make any noticeable difference for people from 1 April? People involved in their local communities may have attended some events but there has been criticism of the lack of public involvement and in particular ‘local democracy’ in the process to date, described as ‘autocratic’ and ‘secretive’. A Select Committee report in Feb 2016 argued that “local leaders and the Government must make far greater efforts to communicate with and engage the public so they embrace devolution as a positive development too” and urged the Government to ‘up their game’ because of ‘rushed timetables for negotiation, and a lack of openness about deal negotiations’. Whether the leaders in GM can take the public with them is one of the big challenges (or perhaps the biggest): “our focus must be on people and place, not organisations … there will be a responsibility for everyone to work together”. There is now a survey about health open and a consultation about the new powers. 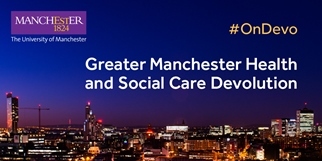 On March 9th, the GM health and social care devolution team reported that 91% of the almost 10,000 respondents to the survey (<0.5% of the GM population) had identified “some feature of their health and wellbeing that they would like to improve” – by clicking on one of nine questions online – a small and slow start. The GM strategic plan is clear that a ‘new deal’ will require “brokering of a new relationship with the people of GM”– something hugely complex and never achieved elsewhere, as a paper by Kath Checkland and colleagues has shown . Health or social care staff might have taken part in discussions about ‘integrating care’ within a local area: “public services will take charge of and responsibility for their localities”. Each local authority area has developed ‘locality plans’ for closer working together of health and social care, as well as other public services. But they might have had to do that anyway – as all other areas of England are now required to do through the Sustainability and Transformation Planning process. In GM, people with ideas and outline plans to develop their existing partnerships may now have more focus and impetus, but it is still early days for any change to be seen on the ground. The opportunity to consider planning and provision of care across the whole GM area is enormous and has already progressed considerably in terms of many hospital and mental health services, with interesting implications from Chief Executives now working across more than one organisation likely to develop. I sense a new spirit of optimism and partnership across GM at a senior level although no one knows whether this will remain when local implications become clearer. The ‘transformation fund’ which has been allocated to GM,in addition to the devolved running budgets (£6bn), has far more calls on it than it can afford, with the prioritisation and allocation process being subject to considerable scrutiny. Social scientists (like me) who research change and its implications are excited about this opportunity on the doorstep to ‘research’ this ‘experiment’. Multi-method research – the quantitative analysis that can highlight change in outcomes, along with the qualitative research that can explain ‘how and why’ these changes happened – will generate more learning for the whole system. This is ‘real-world’ research and evaluation, without a neat controlled environment, or the luxury of determining timescales; already bringing new challenges for researchers and funders – which some of us are taking up. Tensions between the speed at which the system needs research to deliver ‘answers’, and the rigour of the analysis underpinning this, will remain on-going challenges. I don’t think I’ll wake up on 1 April noticing any difference at all. Whilst devolution means that ‘the times they are a changin’’ – in services, in how people act, in how organisations work together and in how research is done and has an impact – I think we will see no real change any time soon. Perhaps this time next year things will be noticeably different – and as the next general election draws nearer, change in more than the public sector balance sheet will be even more critical. 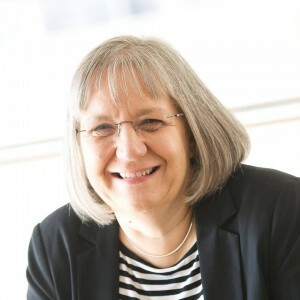 Ruth is Director of the National Institute for Health Research (NIHR) Collaboration for Leadership in Applied Health Research and Care (CLAHRC) Greater Manchester, and Professor of Service Operations at Alliance Manchester Business School.